Bring on the Crafternoons! I have a few new peeps I'm partnering up with for upcycling workshops. I'm working with the North Vancouver Recreation and Culture Commission on a few. One happening tomorrow afternoon in Lynn Valley Village. So tonight I am prepping sample projects for the Summer Solstice Block Party. Hope to see you there! 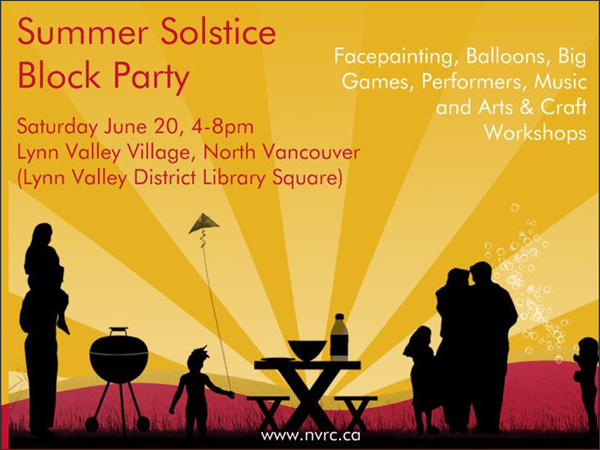 Tomorrow, 4pm to 8pm, Lynn Valley Village and it's free. Celebrate the summer solstice with a block party like no other. Enjoy live music, facepainting, a balloon lady, a juggler, big games, crafts and more. Details at www.lynnvalleyvillage.com. Soon I'll post more info about the two Crafternoons I have with the Children's Department at the North Vancouver City Library. Dates are set for July 17th and August 21st. I'm also confirming dates and projects for a couple of upcycling workshops with my awesome friend Kate at Bird on a Wire. I'm super excited to be working with her! And crafting in her wonderful space. These will be in the Fall so stay tuned! Then I have two Crafternoons with my City of Richmond peeps in the Fall. Seems so long since I crafted with them! And also stay tuned for more dates and craftiness with the North Vancouver Recreation and Culture Commission. Super stoked to be working with NVRC... They are so darn great!